When is collecting animal specimens not research? According to the United Nations, when only nine out of 3,600 of them are actually used for science. The UN’s highest court ruled that Japan’s whaling industry in Antarctic waters is not legitimate research, and should be stopped. Japan has always argued that its whaling fleet is conducting research, but it’s been a hard argument to defend. According to Euronews, Japanese “research” vessels captured 3600 minke whales over the past nine years and used just nine of them as topics of study that resulted in only two scientific papers. 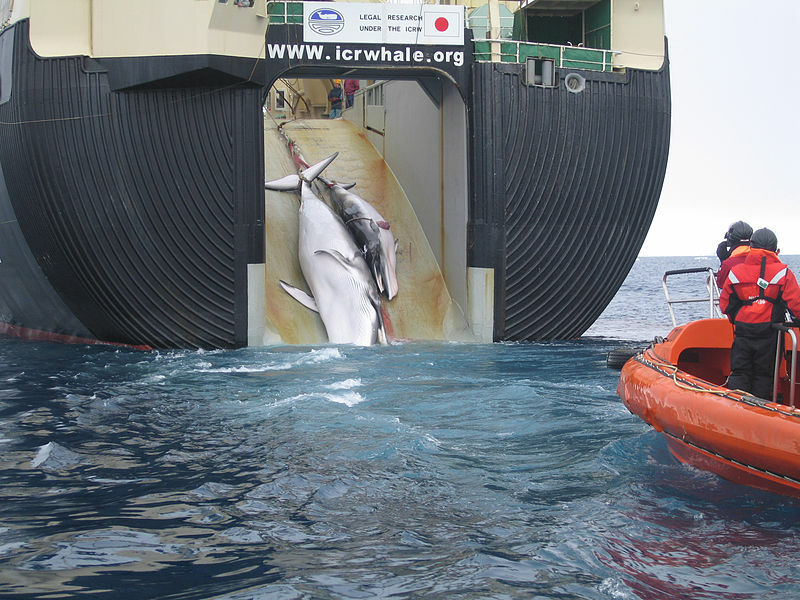 Japan agreed last week to stop hunting whales in the Antarctic. Although they could resume whaling at any time, and enforcement is difficult. But the UN ban opens the door for other nations to impose trade sanctions or take other types of actions if Japan starts hunting whales in the Antarctic again.